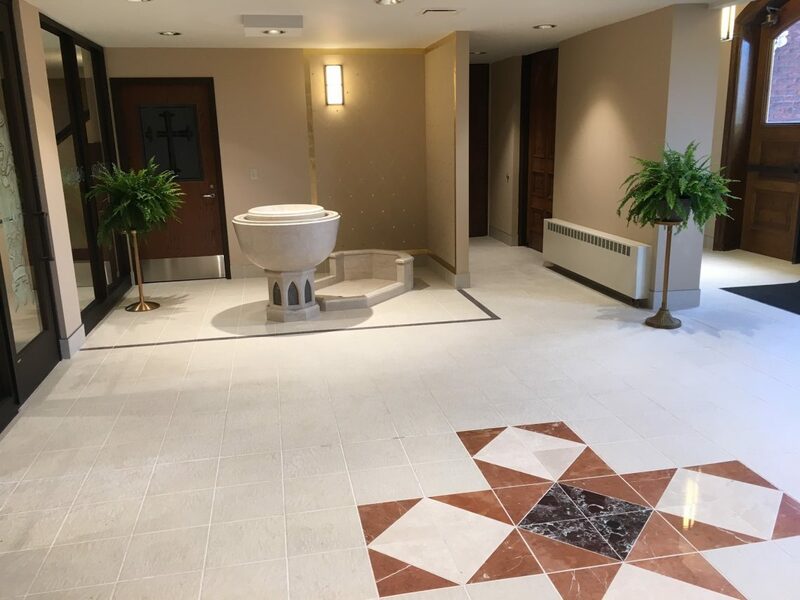 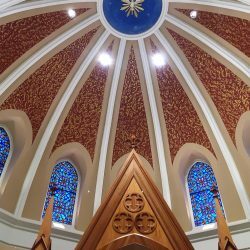 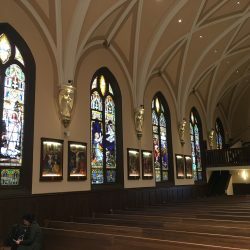 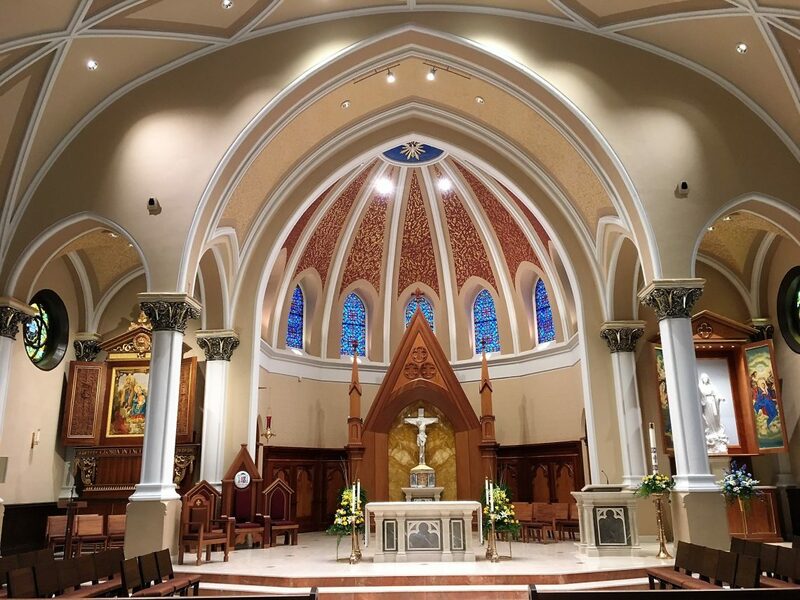 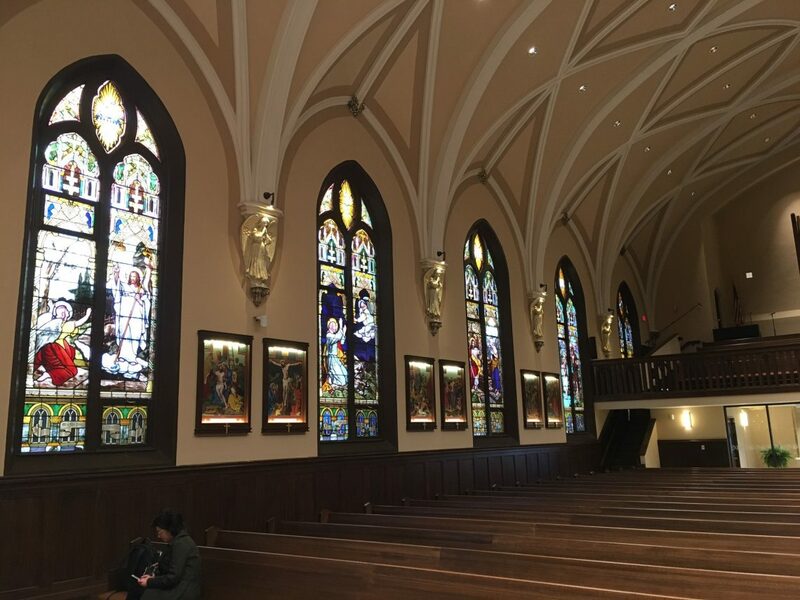 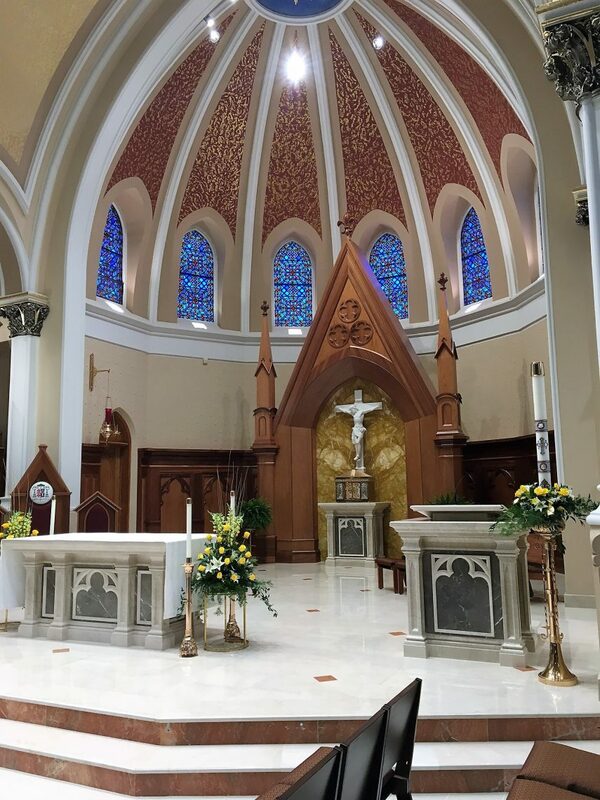 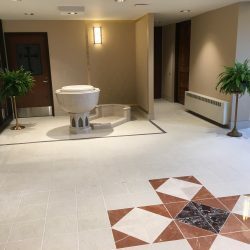 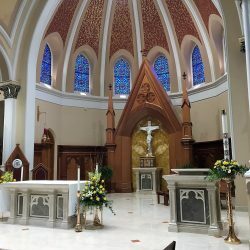 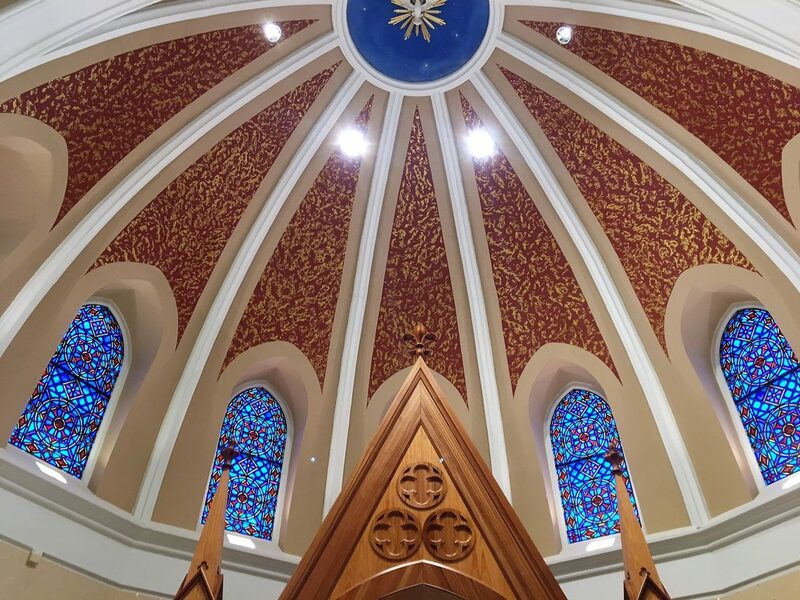 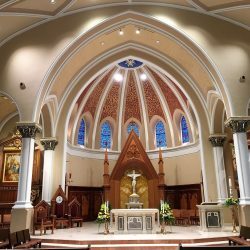 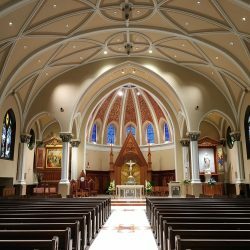 The St. Jude Liturgical Arts Studio has been privileged to work with the Diocese of Saginaw and Most Reverend Joseph R. Cistone in restoring and renovating the Cathedral of Mary of the Assumption. 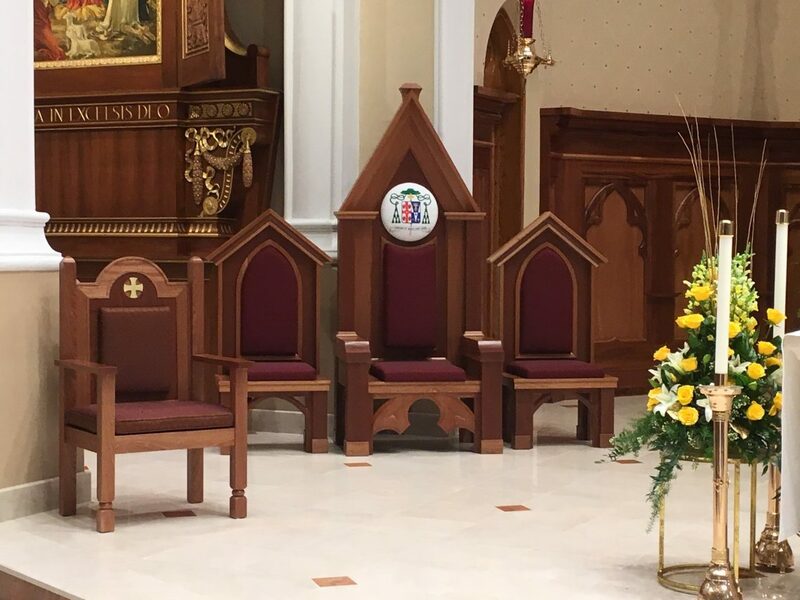 Here we showcase our work, from design to fabrication and installation in the cathedral. 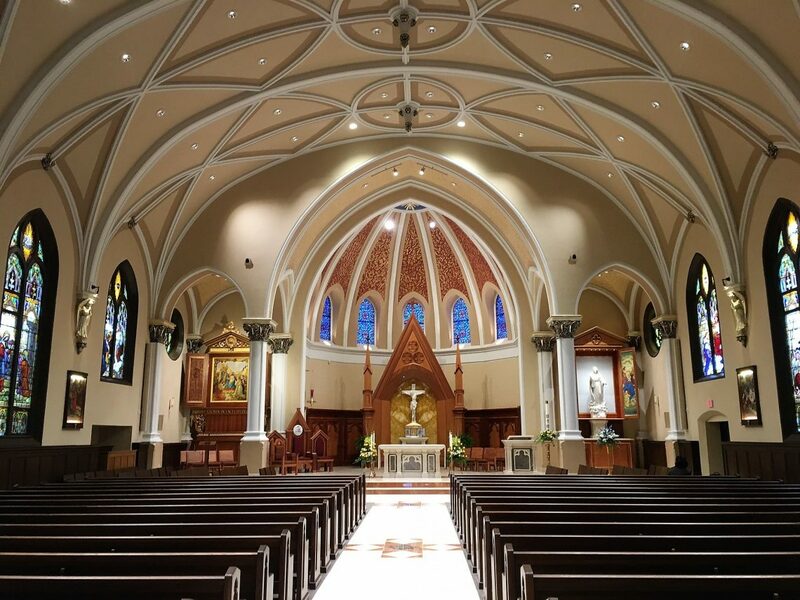 We began by executing architectural drawings and full-color renderings of the completed design. 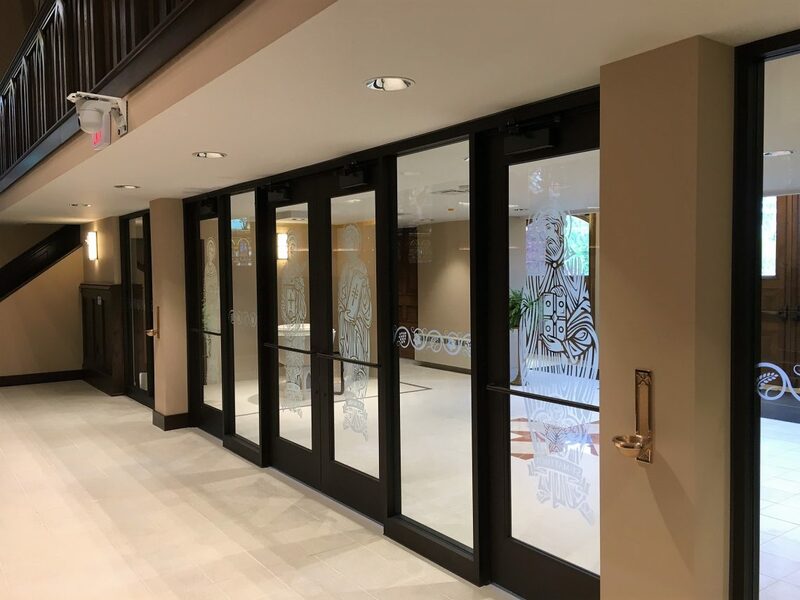 Once approved, we set our team of experts into motion. 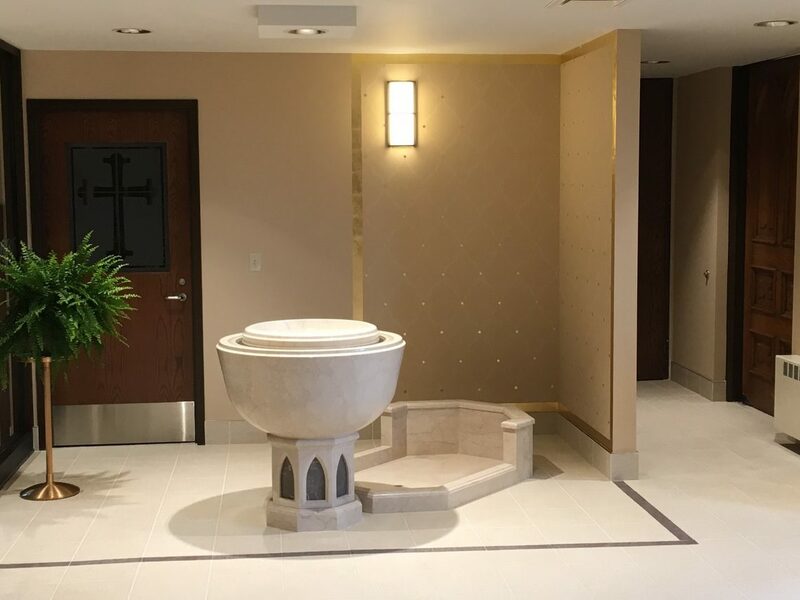 The photos showcased here attest to our Studio’s dedication to creating liturgical spaces that elevate the worship experience. 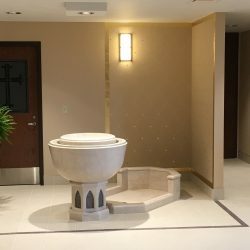 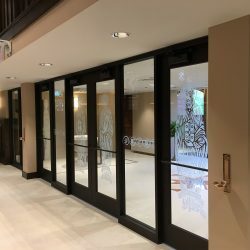 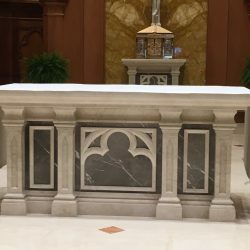 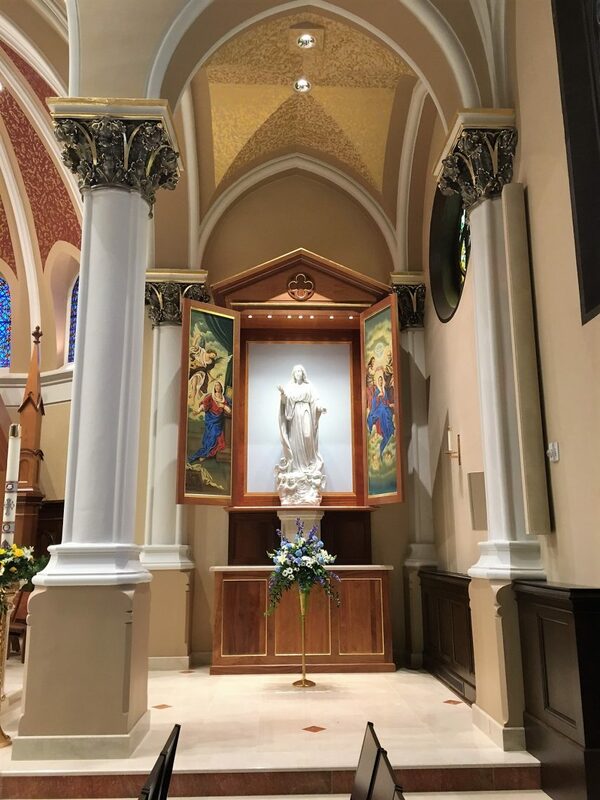 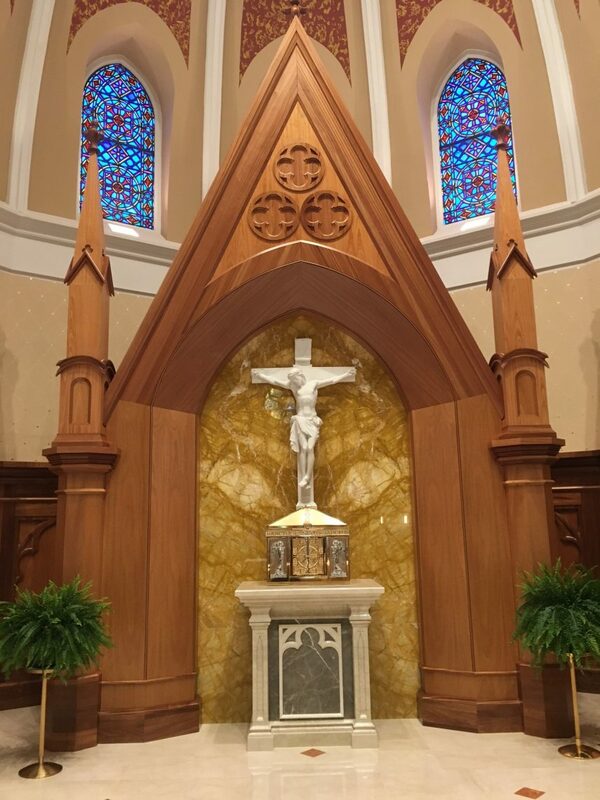 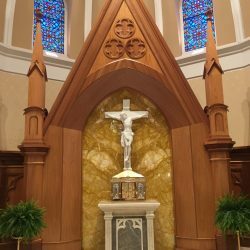 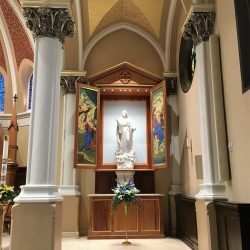 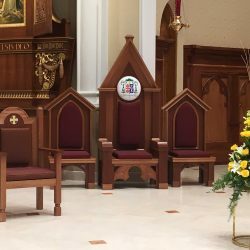 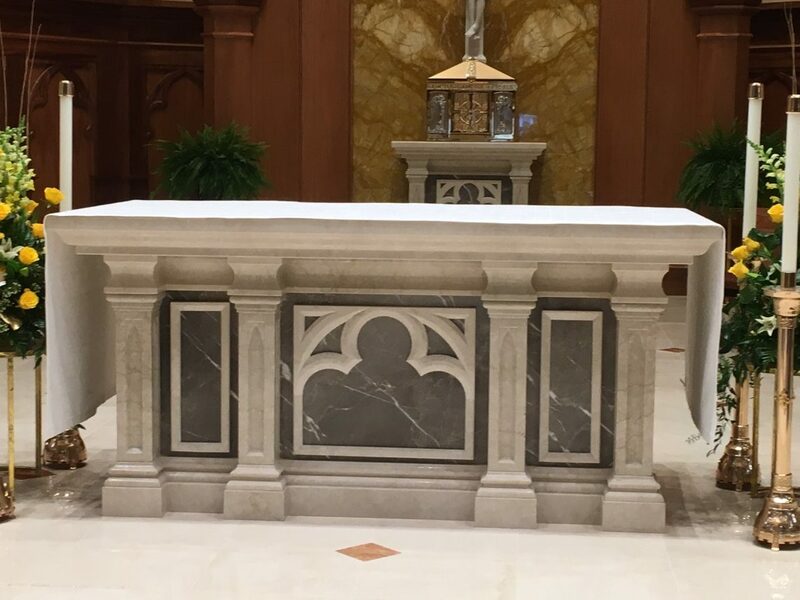 We fabricated a new reredos, created new marble appointments, sculpted marble statues, custom wood furnishings along with the artistic painting of the cathedral.